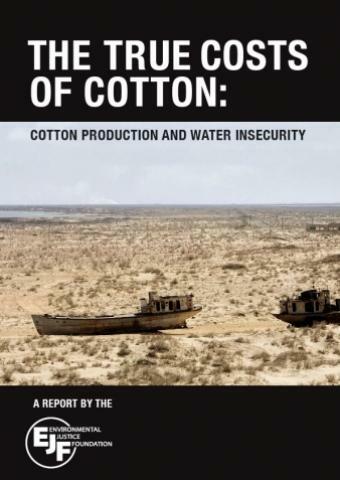 The True Costs of Cotton: Cotton Production and Water Insecurity: The report highlights the massive mismanagement and abuse of fresh water resources in cotton production, with a special focus on Central Asia and Uzbekistan in particular. White Gold: Uzbekistan, a Slave Nation for Our Cotton? 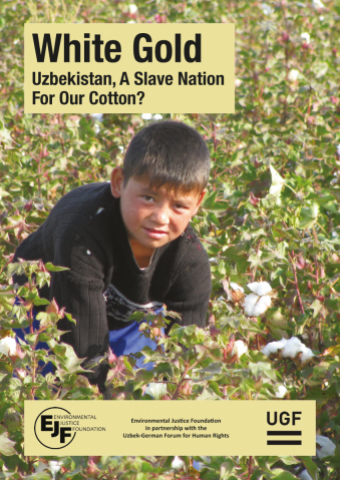 : The report summarises information provided by independent journalists and human rights activists on the conditions under which the Uzbek cotton industry operates. 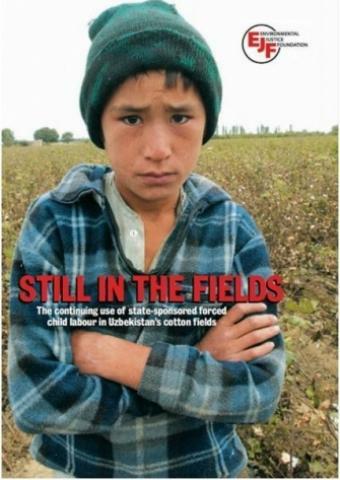 Slave Nation: This report reveals how the Government of Uzbekistan continues to lie to the international community while routinely compelling hundreds of thousands of children as labourers in the country’s annual cotton harvest. 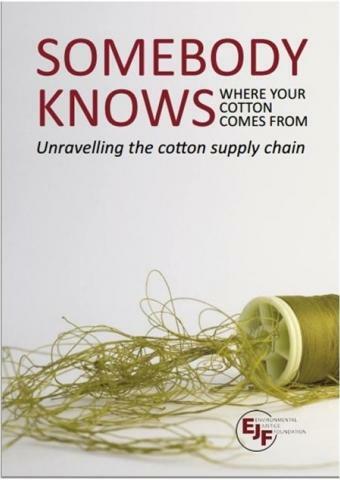 Somebody Knows: A must-read for all retailers and brands keen to understand why knowing where their cotton comes from is so important, and how they can go about tracking and tracing this seemingly complex supply chain. 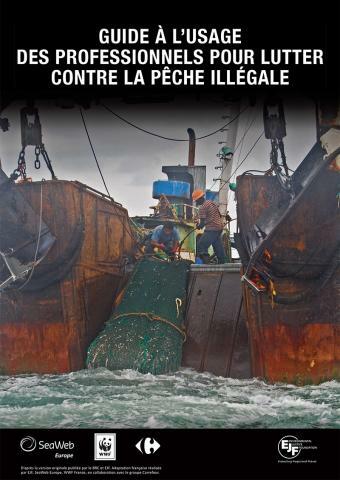 Still in the Fields: The report summarises EJF’s in-country investigations in October 2008 and reports from independent media and human rights defenders in Uzbekistan. 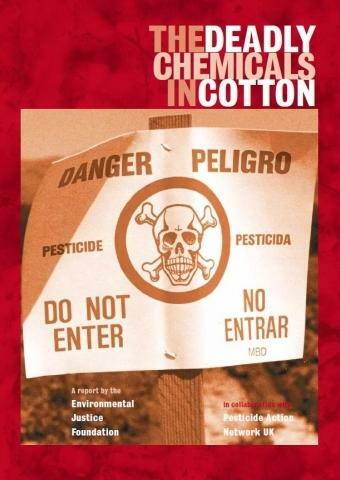 The Deadly Chemicals in Cotton: A report exposing the human health and environmental cost of pesticide use in global cotton production. 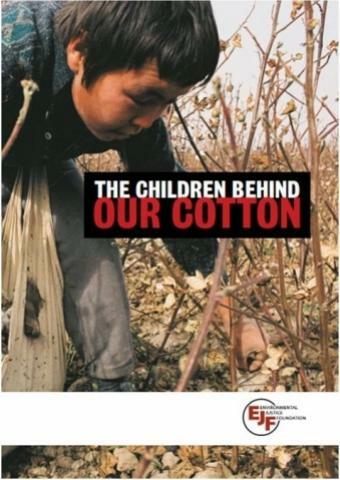 The Children Behind Our Cotton: This report details the shocking conditions endured by more than an estimated one million children who work 12-hour days in extremes of hot and cold weather, many suffering physical, verbal and sometimes sexual abuse.